C.W. Brabender Instruments, Inc is a leading company for the development, manufacture and distribution of instruments, equipment for testing material quality, physical characteristics in all fields of research, development and industrial production in the polymer and food industries all over the world. C.W. Brabender Instruments, Inc Single Screw Extruders provide the speed, accuracy and flexibility for precise demanding applications. C.W. Brabender Instruments, Inc manufactures a range of Single Screw Extruders that offer different functions and capabilities. 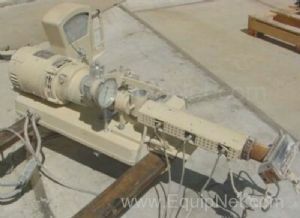 EquipNet carries a variety of used C.W. Brabender Instruments, Inc equipment.